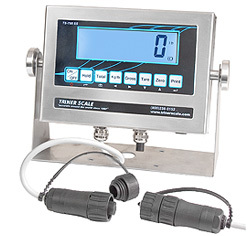 These industrial floor scales have a 5,000 lb capacity and come complete with weighing deck, digital indicator, and the cables and cords required to connect the unit. 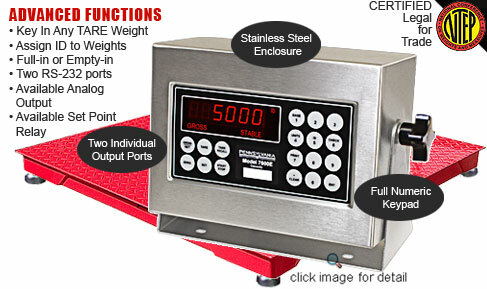 The industrial weighing scales are rated for use outdoors and are factory calibrated for optimal performance. 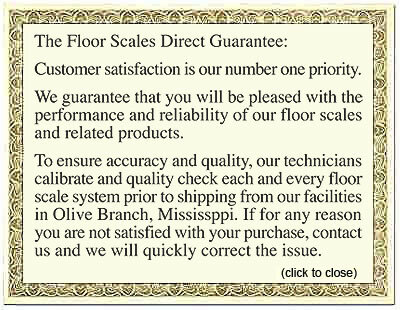 Our floor scales ship ready to connect and use. Click on the tabs below for full details and specifications. NTEP certified features include diamond plated top deck with shock absorbing, self-leveling feet and a junction box of mild steel. 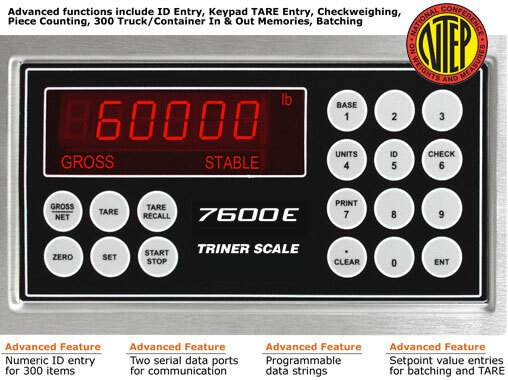 Our floor scales are NTEP certified and include red LED digits for high visibility, a full numeric keypad, a watertight stainless steel enclosure, and basic and advanced functionality. 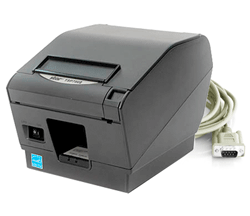 An AC adapter is included and the unit runs on standard 117 VAC power. 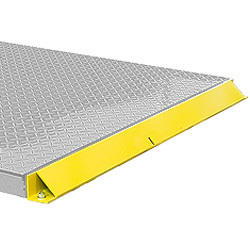 Easy Access Ramp 48" x 36"
Ramps allow easy access to the scale, eliminating the need to lift heavy loads onto the platform. They are used to load material onto the scale with hand trucks, pallet jacks and wheeled carts of many types. 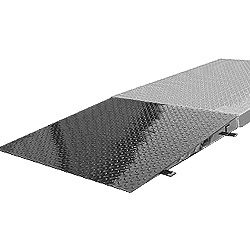 Protect the scale and your investment by installing side guards on the sides of the scale that do not have ramps. The angled guards deflect forces away from the scale platform, which prevents damage to any critical components. 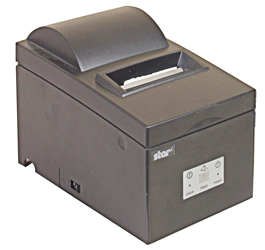 NOTE: This printer must be configured by Triner Scale for compatibility with the scale digital indicator. 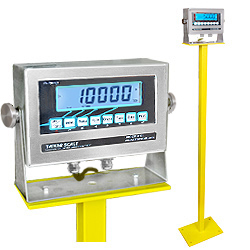 Indicator stands are available to provide a convenient and flexible option for mounting the digital display. The base plate has 4 holes so that it can be anchored to the floor.